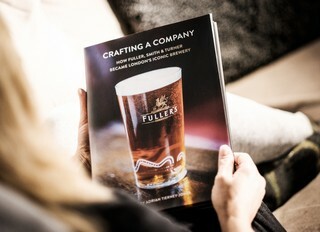 Fuller’s is a company with a long and interesting history spanning 170 years of brewing. This new and updated history tells the tale of a family business dealing with changing beer fashions, two world wars and upheavals in the brewing industry to emerge as London's most iconic brewery. Fuller, Smith & Turner came into being in 1845, though brewing had taken place on the site since the 17th century. At the time, London was home to thousands of breweries, large and small, but Fuller's is the only one that has survived and thrived. We have plenty of tradition and heritage, but we're eager to explore new ground within the world of hospitality. 'Crafting a Company' is now available to buy online and in the brewery shop. Order before midnight on Sunday 20th December and get your copy before Christmas!